Thanks to Net Galley and to the publishers, Virago, for providing me with a free copy of this book in exchange for an honest review. This is an extraordinary book. Like most of us, I remember the news of Anders Behring Breivik’s terrible attack that killed seventy seven people in Norway, in what later became clear had been an ultra-conservative terrorist attack. I remember reading accounts written by the survivors and some of the articles trying to provide some sort of explanation, at the time. But when I saw the book I realised I had lost track of what had happened next, and having worked as a forensic psychiatrist for some years I was particularly intrigued. The book achieves many things. It’s an accurate account of the events of that fateful day (22nd July 2011), or as accurate as it is possible to gather. It also studies the information available to provide background as to the biography and development of Breivik, although it does not purport to provide an explanation or even a hypothesis as to the reasons for his actions, but readers are free to agree or disagree with the various opinions expressed by the experts. Thanks to the interview the writer obtained with Breivik’s mother, we also get background as to the circumstances of his birth and his early childhood. Although the nature of some of the information might be subjective, Seierstad tries to use different sources, like school and child psychologist reports, to ensure that the account is not one-sided. 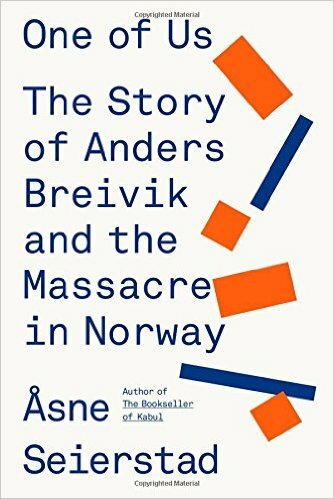 The book also describes, at times in excruciating detail, the changes in Breivik’s thoughts and motivations; his writing of his manifest, and later the execution of his plan. I was worried at times by the amount of detail provided (although I’m aware that there are many sources to find out how to make a bomb, more or less easily available) but I can see how that helps paint a clearer picture of the functioning of Breivik’s mind. And, to me, the most successful achievement of the book is the inclusion of the victims and their families, in some cases in more detail than others (that is down to the cooperation and the feelings of the families involved), but all as individuals. If to Breivik they were only Marxists in the making, to us they are individuals, mostly young people, generous, fun-loving, sporty, karaoke singing, and beautiful. The breadth and depth of investigation is outstanding, the variety of sources and the seamless interweaving of the different strands of the story, different settings, countries, cultures, political beliefs, is an achievement in its own right. 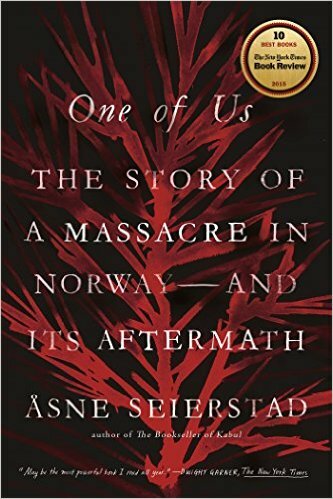 I discovered things I didn’t remember having heard about (like the many mistakes made by the Norwegian police and the national security forces) and at times I felt I was there, a powerless observer, unable to warn or help, and hoping against all hope. Apart from informing me of many facts I didn’t know, what One of Us achieves, in my opinion, is to touch the heart of the reader and to help keep the memory of those who died that day very much alive. A very touching book that made me feel, if not a part of the tragedy (although yes, I felt that too), that perhaps I, we, could all be part of the solution. Not for the faint-hearted. As a side-note, as a psychiatrist I could not help but keep pondering about possible diagnoses for Breivik, but without first-hand knowledge I’ll reserve my opinion (he clearly displays traits of Narcissistic Personality Disorder, but the rest is not quite as straight-forward). Thanks so much for reading, and remember to like, share, comment and click.